This is the first full-length look at Zapple-the Beatles' label for experimental music and spoken word recordings and the most ambitious expression of the group's determination to be leading members of the counterculture movement in the late 1960s. 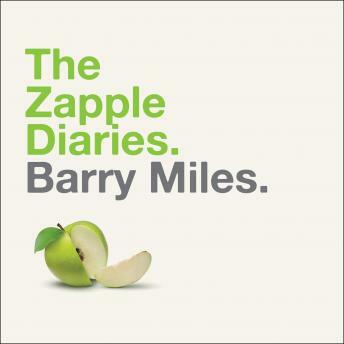 Barry Miles, the acclaimed author, was the Zapple label manager and has written an engaging and slightly gossipy you-are-there review of this fascinating period in Beatles history. The book provides insight into the lives and working methods of leading literary and cultural figures of the time, including Allen Ginsberg, Charles Bukowski, Richard Brautigan, William Burroughs, and Frank Zappa. The Zapple Diaries is the fascinating story of an ill-fated experimental venture and a revealing account of the little-known last chapter of Beatles history.